There a currently 0 units listed for sale at the quaint Brownstone condo community. So far this year, 0 have sold and in 2016, 1 sold. $432,000. 505 Detroit St., #2, Ann Arbor. 1560 square feet with 1 bedroom, a study, and 2 baths. Since there are only 8 units here, they rarely come to the market. The unit sold last year has an average price per square foot of $277.00. There were 2 sales in 2012 that had an A$SF of $297.00 with an average sale price of $373,250. 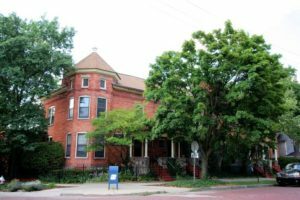 To receive immediate notification of new listings at Brownstone or in downtown Ann Arbor, contact us at The Bouma Group today at 734-761-3060 or email info@bouma.com. Start your Ann Arbor Condo search here! 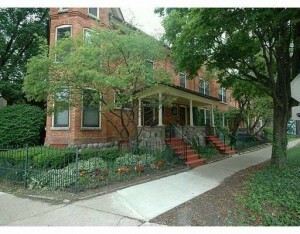 Brownstone Condos is an historic building of 8 units located in the cobblestone district of downtown Ann Arbor. Popular because of their unique, period architecture, and excellent location, condominiums at Brownstone rarely come to the market. There are currently 0 units for sale and 0 have sold so far this year. In the past 5 years, 2 condos have sold. $311,000. 1045 square feet with 2 bedrooms and 1 full bath. Closed in 2006. $322,500. 1560 square feet with 1 bedroom, a study, and 2 full baths. Closed in 2007.